First Friday in downtown Manteo. It looks like the rain will be gone and it should be a good evening for music and visiting. We have had a lot of rain here on the Outer Banks over the past week. If the rain gauge at the Dare County Airport on Roanoke Island is accurate—and it’s the official record keeper—it looks like 14” over the past seven days. We’ve had a couple of breaks in the clouds and the sun has come out from time to time, but honestly? It’s time for the rain to go away. And if the weather forecast is accurate, we’re going to have another day or day and a half of this, then finally some consistent nice weather. When it finally clears up, we can go back to some got the things that make summer on the Outer Banks so special. All of the small outdoor music venues had to cancel their shows this past week. That would be places like Ocean Boulevard, with it’s wonderful setting on the beach road. Or the roof top venue at Rundown Cafe. Both of those are n Kitty Hawk. In Nags Head it would be hard to find a better place to relax with a drink, watch the sunset over the Roanoke Sound and listen to music than Pamlico Jacks. And those are just a few of the venues that had to cancel shows this week because of the weather…and thankfully, the weather is looking like it’s going to cooperate for Tuesday evening on. That also means things are looking great for First Friday this coming Friday in downtown Manteo. 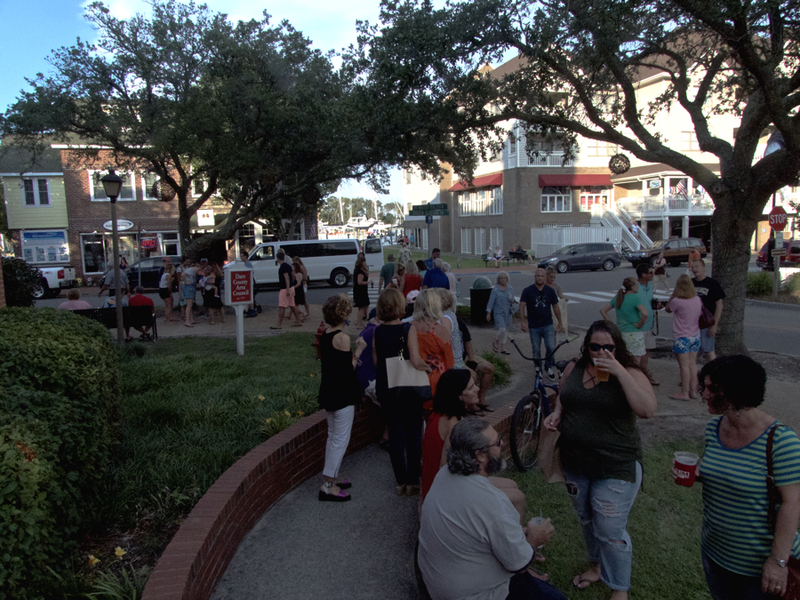 First Friday has truly become one of the Outer Banks summer traditions that people really look forward to. There is four or five block area along the water front in the town that is ideal for enjoying live music, some sidewalk cafes, some art and a night out. There’s always a lot happening on the Outer Banks. Check out our Joe Lamb Jr., & Associates homes for the perfect location to enjoy all the there is to do and see.